When you order a web hosting account, by default your hosting server where your website is hosted also has a mail server. Therefore MX record is automatically created to specify your web hosting server to be the mail server as well and receive emails. 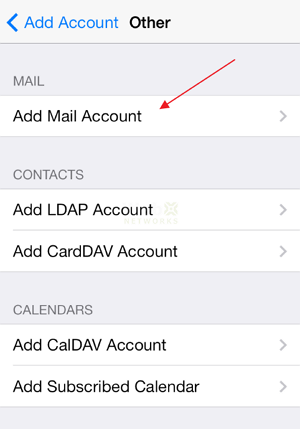 That is why you can create and manage email accounts using cPanel interface, which directly interacts with the local mail server on that server. 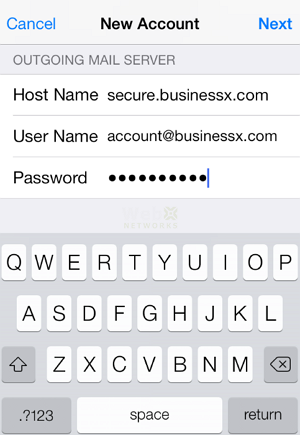 However at times some clients want to host their email elsewhere. For this reason they will need to change the MX record so that emails can go that particular server. 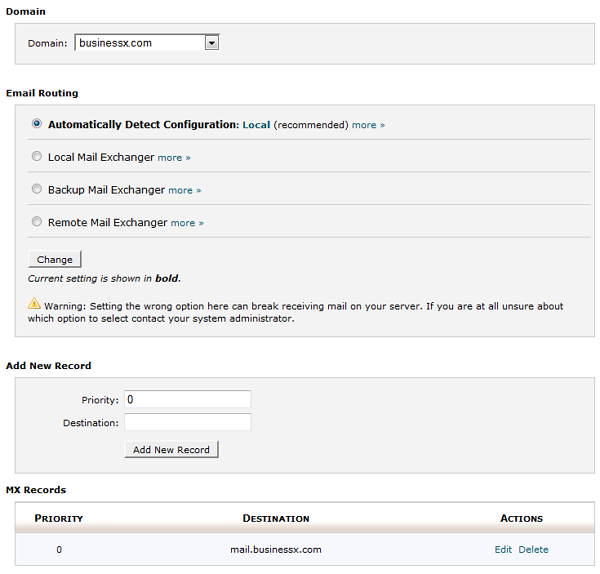 To change the MX, you can click on MX Entry in Mail section of cPanel. For some reason cPanel calls it MX Entry instead of MX Record. 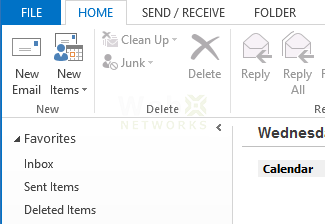 Since it is possible to have multiple mail servers configured to receive emails for a domain, the next screen explains how the priorities work MX records (entries). 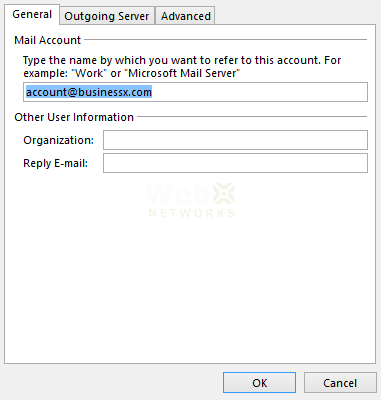 Secondary mail servers (those with higher priority values) can be used for backup or other purposes. 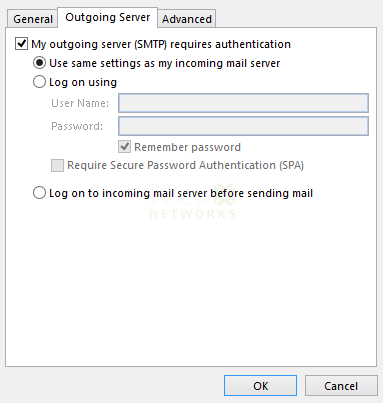 If you assign multiple mail servers the same priority, then when that level of mail server is needed, mail will be distributed to those servers randomly. You may have to select the domain from the drop down to proceed. Once you select the domain, you will be presented with the current MX configuration of the domain. 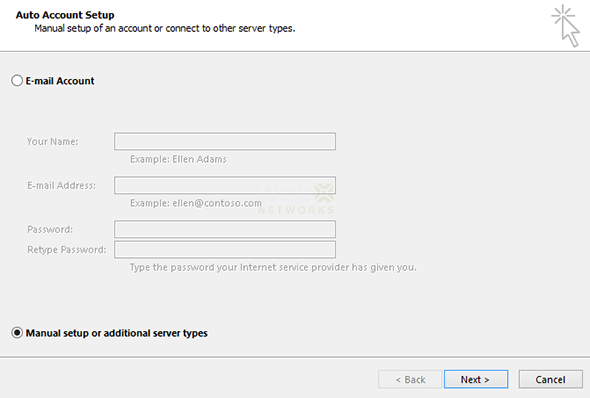 For example in this screen shot here we see that domain is configured to receive email on Local server. It is currently using “Automatically Detect Configuration” option to come up with that. 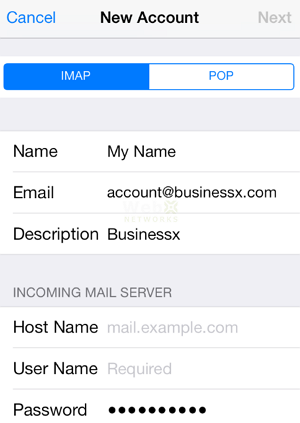 Local Mail Exchanger: Configure local server to always accept mail. Mail will be delivered locally on the server when sent from the server or outside the server. 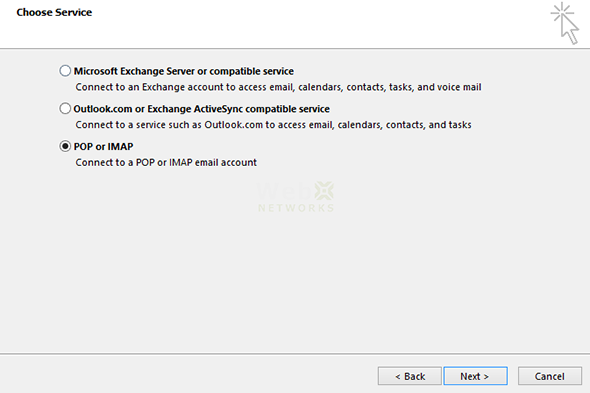 Backup Mail Exchanger: Configure server as a backup mail exchanger. 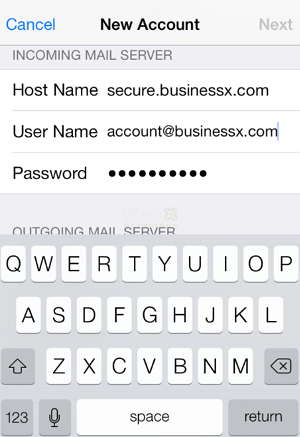 Mail will be held until a lower number mail exchanger is available. 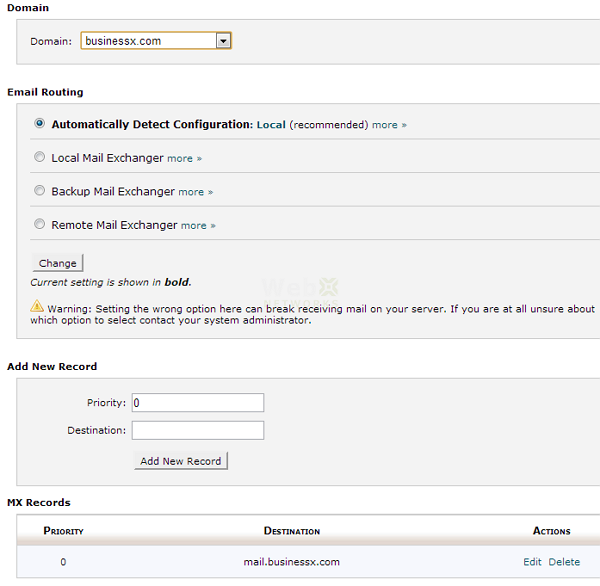 Remote Mail Exchanger: Configure server to not accept mail locally and send mail to the lowest MX record. Please be careful with changing this. The Warning is pretty clear: Setting the wrong option here can break receiving mail on your server. If you are at all unsure about which option to select contact your system administrator (that is our support). You can click on Change button to make the change (if required). Once you are done with the changes, you can see that all the records under MX Records section are what you needed to set. It may take a few hours before the DNS updates propagates and new email starts delivering on the MX records for your domain. 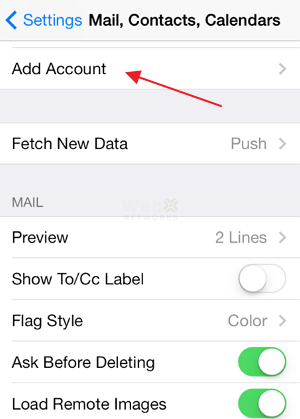 Hope this tutorial makes it easy to manage MX records for your domain. If you need help with it, please feel free to contact us or you can post in the comments section below. 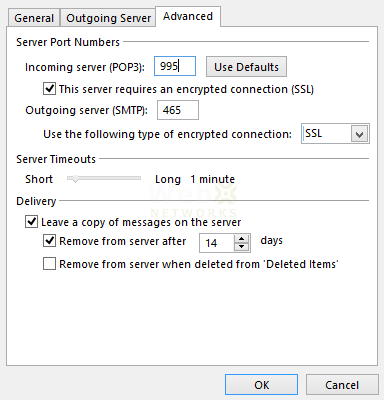 SPF (Sender Policy Framework) system allows you to specify servers and IP addresses that are authorized to send mail from your domain(s). This feature works to prevent outgoing spam messages using your domain from other computers and servers. If someone tries to send emails spoofing your domain in their email address, the receiving servers will check if you authorized them to send email – failing which such spam will be rejected. We assume you are already logged into cPanel of your web hosting account. 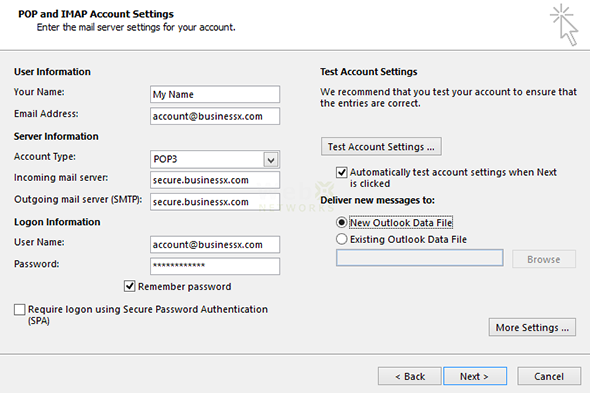 Click on Email Authentication link under Mail to proceed. 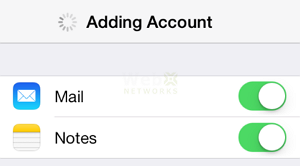 By default Email Authentication is disabled. To enable each one, click the Enable button. DKIM is enabled with just a click of a button. No further configuration is required for DKIM. 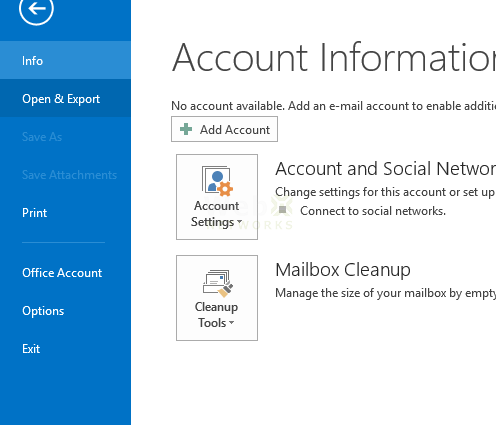 The Email Authentication screen will show you if it is active. To enable SPF, click Enable button. When SPF is enabled, a new TXT DNS Record is added to your domain’s DNS zone. 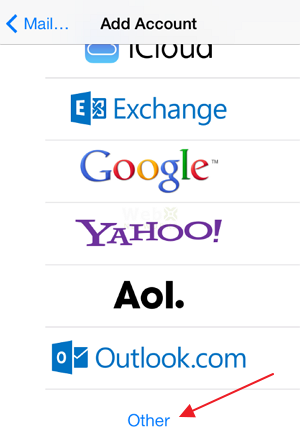 It uses your domain’s Mail Exchanger (MX) record, A record and the IPv4 address. 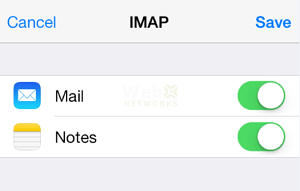 In most cases this default setting is good enough to authorize these servers to send email. 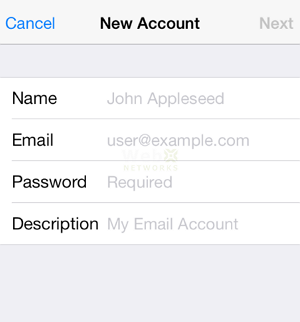 In addition to default configuration of SPF, the Email Authentication screen allows you to add additional hosts and make changes to the SPF record. Email authentication helps prevent spam. The options provided in cPanel attempt to equip email messages with verifiable information so that the nature of incoming and outgoing messages can be detected automatically. Enabling DKIM and SPF should reduce the number of failed delivery notifications you receive when spammers forge messages from your domain(s). These features also work to prevent spammers from forging messages that claim to be from your domain(s).